Apple had exactly one year to work on its projects. At the Worldwide Developers Conference, the giant company presented all of its new services and software. iOS 9 was the main attraction, being followed by the version 10.11 of OS X for Mac, which was named “El Capitan”, representing a mountain in Yosemite. 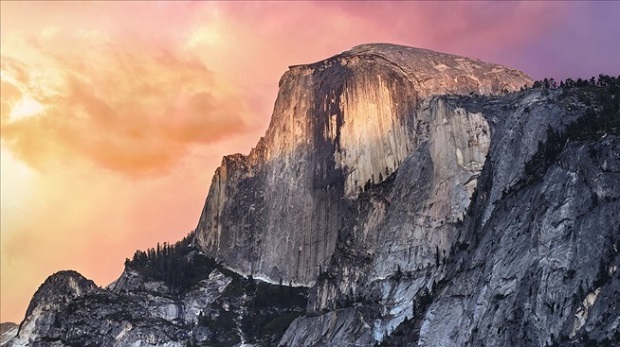 The previous version was named after the National Park in the US, so we’re curious what other geological elements will make their way to the upcoming versions of OS X. So, if you’re a Mac user, then surely you will want to know more about the new features of “El Capitan”. Craig Federighi, Apple’s senior vice president of Software Engineering, said that “OS X delivers unparalleled integration between Mac hardware, iOS devices, apps and online services, and has helped Mac sales outpace the PC industry every year for the last decade,” adding that even if Yosemite was extremely appreciated by customers, the new OS will be even better, bringing enhancements in many areas: Spotlight, window management, built-in applications and more without a doubt users will notice that their everyday activities will be improved because the applications will respond faster saving precious time, which they’ll use to do something else. Not all Apple users are obsessed with iPhones, although smartphones are more practical (being more than a traditional communication method). There is a category of people who communicate online using a physical keyboard, on a bigger screen, and they prefer to buy a Mac and spend their free time in front of it, while they’re at home. 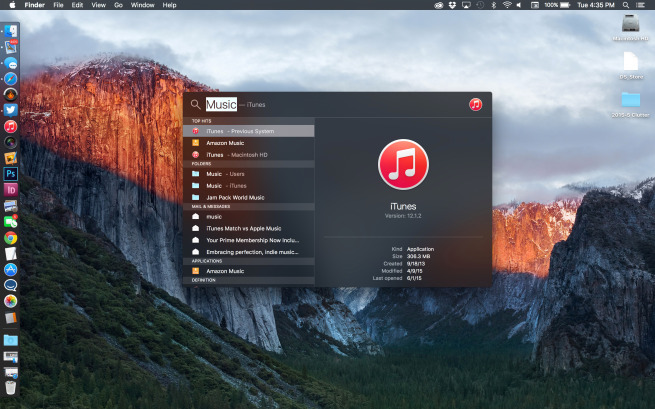 To offer the best user experience, Apple improved the desktop software and added features such as Continuity, Hand off and AirPlay, but the company wanted to push things forward on the new OS X version and, besides minor enhancements, El Capitan received some hidden features which are worth mentioning. Here we go. Email users will find this feature very useful, because they will be able to open up multiple emails in one window, but each one will be open in its own tab. This means that instead of going back every time the user wants to copy a portion of a text from a message and paste to another email, he/she will switch between tabs getting the job done faster, without any headaches. Apple added them to Finder as well. This application for iOS will have a widget in OS X El Capitan, although the company hasn’t unveiled it yet. We’re guessing that the users will be able to see their friend’s location by checking it in El Capitan’s Notification Center. Apple took the decision to replace the iPhoto application with the new Photos app, which has a redesigned interface and supports faster scrolling. However, users noticed reminiscences of iPhoto, so Apple will improve this application in El Capitan. One of the things that users will be allowed to do in Photos app is to assign geo-locations to their pictures (individual photos or to Moments). However, the application will support third-party extension so that the developers will be able to create professional editing extensions for users to access them within the app. This feature has been added to Safari for some time and it had some problems, as the users complained about various glitches such as entering the wrong email address, which means that users needed to correct auto dilled forms before they were sent. In El Capitan, users will see that the feature has been improved. Until now, OS X allowed users to rename files and folders by selecting them, then pressing Enter and writing a new name. El Capitan stole the idea from Windows to offer users a contextual menu option. Users can add suggested events and contacts from Mail to Calendar and Contacts, and this is how it works: when receiving an email containing reservations in a restaurant, at a certain hour and place, the users can add the reservation to their Calendar. Also, when receiving an email with the name of a person, Mail will allow users to create a contact for that individual, by clicking the contact info. When that person changes the signature in emails (phone number or address), Mail notifies the user. When copying big files of 2-3GB, and something interrupts the process, users won’t be forced to start all over and copy the files, again. Apple introduced the option to resume copying files, This allows you to continue copying files without starting from scratch.